Constitutional crisis with a female PM struggling to see a way through an impossible situation. A leader of the opposition whose motives are unclear, intrigue and meetings that pick at the fabric of our democracy and pull the thread in a multitude of directions. Tower Theatre's production of 'King Charles III' could not be more timely if it featured ridiculous cartoon toff Jacob Rees Mogg in a cameo. 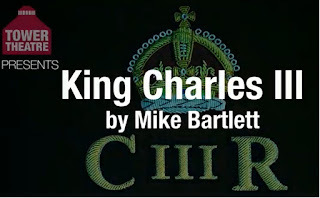 Mike Bartlett's play - set in an immediate Lizless future with Prince Charles no longer the longest serving heir to the throne - is not an attack or ridicule of the monarchy although it does question their role from the point of view of those within and without. 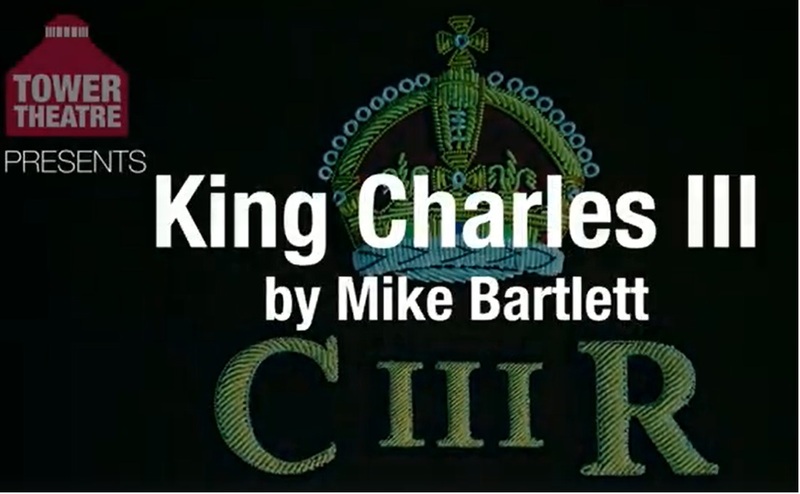 Rather it is a classic political drama with Charles cast as a Lear like figure - still clinging to the past and old traditions as his power and influence fall away. This is a man who finally got the job that he always wanted, was literally born to and finds that his office is smaller than he thought and no one is knocking on the door. The staging is simple but effective with tiny changes allowing for the space to represent throne room or kebab house. The younger royals, Wills, Kate and Harry (played by a strikingly similar Ben Grafton as a pre Meghan lad-about-town) also struggle to adapt to this new family setup with Daniel Draper's Duke Of Cambridge demonstrating the sensitivity and common touch inherited from his mother. The language of the play is of an earlier era than the setting, with Charles' self justifying addresses to the audience a particular highlight. Yes, there is a Shakespearean feel but also modern mob and club scenes skilfully produced by director Ruth Sullivan and her team aided by an excellent soundscape. Robert Orchard, possibly due to observing politicians up close as a former BBC parliamentary correspondent, is wonderfully oily and smarmy as Tory leader - equal parts Blair, Farage and Cameron as he wheedles his way towards the throne whilst always looking out for No.1 or No.10. In comparison the labour leader (Jess Hammett) has no love for the monarchy but tries to save Charles from himself, striking a more sympathetic yet determined stance.